Forfar Rotarians attended the local club for people with a disability. They took with them lots of food to share and lots of games to play. 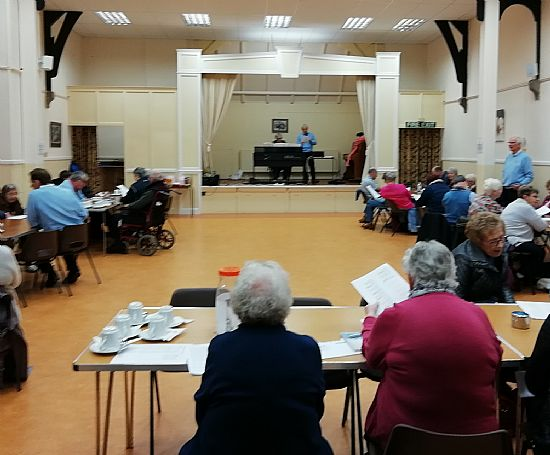 Songs were sung, bingo was played and lots of laughter was heard. The evening was compared by Ian Findlay who manfully tried his best to lead the singing with music accompaniment by Margaret Reid. This is an annual event which is enjoyed by all those attending. We will be back. Forfar Rotary are committed to providing help in the local community and to others across the world.